The AN/SPG-55 was a tracking and illumination radar for Terrier, Standard SM-1 and Standard SM-2 surface-to-air missile systems. It was used for target tracking and missile guidance on numerous ships of the US and a number of allied navies. The AN/SPG-55 was part of the Mk 76 missile fire control system. 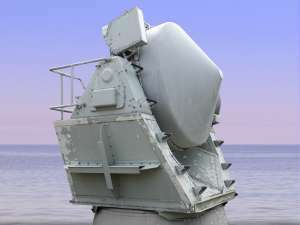 The radar includes a C-band pulse transmitter and receiver for target tracking, and an X-band CW- transmitter for target illumination and a receiver for Doppler target tracking. The AN/SPG-55 having been first deployed in 1961. It has been modified several times since then, the latest modification being designated Mod 10.